WEDNESDAY, Oct. 21, 2015 (HealthDay News) -- The American Cancer Society's new breast cancer screening guidelines are likely to face some resistance within the medical community, based on early reaction. And that's not sitting well with doctors at some of the nation's top cancer centers. "I know we at Memorial Sloan Kettering are not going to change our recommendations, which call for annual mammography starting at 40 for average-risk women," said Dr. Carol Lee, a diagnostic radiologist at the New York City hospital, who specializes in breast cancer screening. 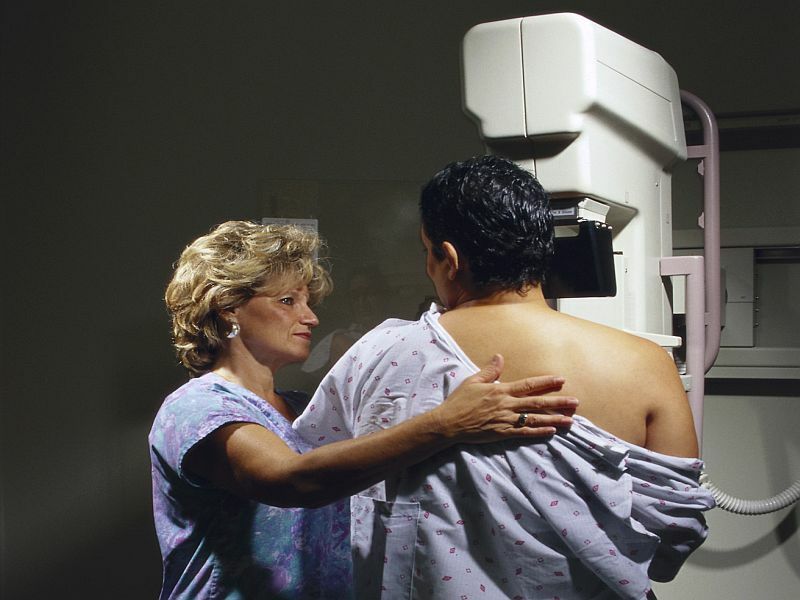 Other doctors contend that the new guidelines aren't really all that different from the prior American Cancer Society recommendation, which held that women should have annual mammograms starting at age 40 and continue as long as they are in good health. "No matter what, women can get annual mammograms beginning at age 40 and continue as long as she has a 10-year life expectancy under this guideline," said Dr. Therese Bevers, medical director of the Cancer Prevention Center at the University of Texas MD Anderson Cancer Center. Bevers noted that both MD Anderson and the National Comprehensive Cancer Network -- where she serves as chair of the guideline panel on breast cancer screening -- still recommend annual screening beginning at age 40. Lee's take on the new American Cancer Society (ACS) guidelines, and her belief that her hospital will not follow them, highlight the potential for controversy among medical professionals. The lead author of the new guidelines, family physician Dr. Kevin Oeffinger, is a colleague of Lee's at Memorial Sloan Kettering Cancer Center. "We found that women who are 45 to 49 are very similar to women 50 to 54 with respect to the burden of cancer, the risk of dying from cancer and the reduction in mortality from mammography," Oeffinger said. "That helped us in our thought process. We felt the evidence is very clear." "Some women will value the potential early detection benefit and will be willing to accept the risk of additional testing and will thus choose to begin screening earlier," the ACS guidelines committee wrote in its report. "Other women will choose to defer beginning screening, based on the relatively lower risk of breast cancer." The new cancer society guidelines are closer to those of the U.S. Preventive Services Task Force (USPSTF), which is the nation's leading panel of experts in preventive medicine. "In some ways, they [the two sets of guidelines] converge a bit more than they did in the past, especially in terms of the ACS pulling back a bit and recommending a slightly later date for mammography screening," said Dr. Lydia Pace, a women's health specialist at Brigham and Women's Hospital in Boston, who co-authored an accompanying journal editorial about the new guidelines. "Perhaps the committee got lost in all the data and all the science, and didn't appreciate exactly what the message would be, because I don't think their intent was necessarily to discourage women 40 to 44 from having a mammogram," Lee said. "I guess it's just a matter of how you read this and where your starting point is. But they quite strongly, I feel, re-emphasize that screening annually among younger women saves the most lives and is the right thing to do," Lee added. "I do think the fact that they actually endorse screening insurance coverage at all ages and all intervals is kind of a strong statement," Bevers said. Bevers suggested that the new guidelines may place too much emphasis on the potential harm from false-positive readings among women receiving regular mammograms. As a woman who's had a false-positive breast exam, she said the harms are overstated. "It's a week or so of anxiety, and it's not fun. But in the long run, women are actually reassured that extra effort has been taken to make sure nothing is going on," Bevers said.